Magic, plus super powers … and a lot of stirring. God made my mom just the same like He made me .. He just used bigger parts. God made mothers out of clouds and angel hair and everything nice in the world … and one dab of mean. They had to get their start from men’s bones. Then, they used string, I think. Sugar and spice and some Elmer’s glue … and rubber bands. God knew she likes me a lot more than other people’s mom like me. No one else wanted her. I don’t know because I wasn’t there … but my guess would be pretty bossy. She had to know his background. Like, is he a crook? Did he say NO to drugs and YES to chores? Does he make at least $800 a year? My dad makes the best spaghetti in the world … and my mom eats a lot! Mom doesn’t want to be boss, but she has to because dad’s such a goofball. Dads are taller and stronger, but moms have all the real power because that’s who you go to ask if you want to sleep over at your friends. Moms don’t do spare time. Pick up my dad’s underwear. Diet … you know, her hair. I’d diet … maybe blue. If she let me eat candy and drink pop anytime I wanted … and if she got rid of vegetables all together. I’d make my mom smarter. Then, she would know it was my sister who did it … not me. Awww … from the mouths of babes!! But, we all know that God made mothers for us to love, respect and, for us women, to path our lives just like them. 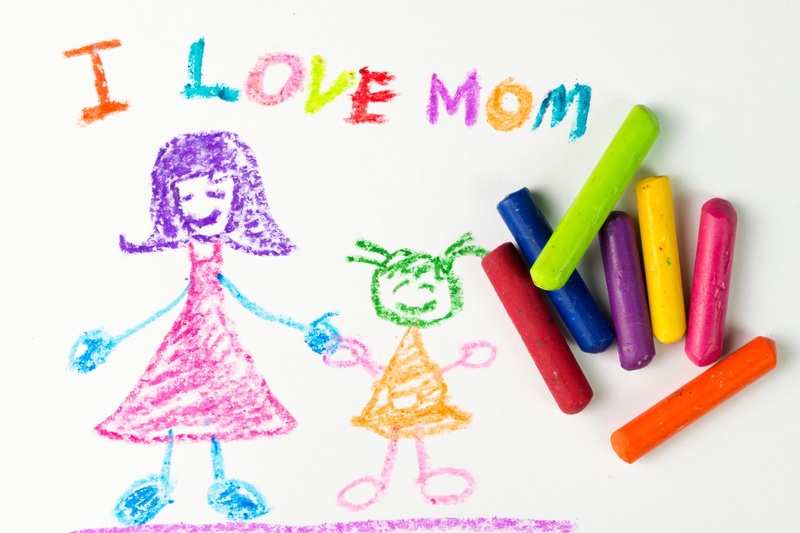 What would we do, what would we be without our moms? Not just on May 13th, but every day of our lives, let’s hug them, take them out to lunch or bring them flowers, and tell them how much we love and admire them. Let’s thank God for choosing them for us and be ever grateful to Him for their presence in our lives. Thanks so much for sharing, Helene and Edna!! During April, our crosses were shared by these folks. We thank them for their service for Him. The last weekend of May is a very important remembrance time period for us. On Friday, May 25th, we will observe NATIONAL POPPY DAY, which, thanks to the efforts of the American Legion and its Auxiliary, is celebrated in countries around the world. In 1920, the poppy became the official flower of the American Legion family to memorialize the soldiers who fought and died during the war and in 1924, the distribution of poppies became one of their national programs. Led by the American Legion Auxiliary, each year red poppies are distributed and we join them in asking that you wear one to honor the fallen and support the living who have worn our nation’s uniform. 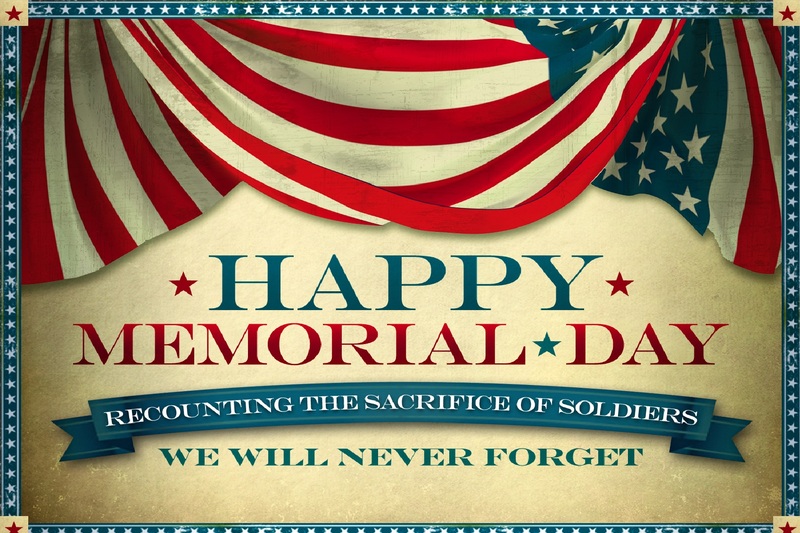 We will observe MEMORIAL DAY and the NATIONAL MOMENT OF REMEMBRANCE on Monday, the 28th. The story of MEMORIAL DAY begins in the summer of 1865 in Waterloo, NY when a prominent druggist, Henry C. Welles, mentioned to some of his friends at a social gathering that in addition to praising the living veterans of the Civil War, it would be well to remember the patriotic dead by placing flowers on their graves. Apparently, his suggestion didn’t go very far that year but, in 1866, he reiterated his idea to General John B. Murray who was an intensely patriotic civil war hero. The idea was supported wholeheartedly and plans were developed for a more complete celebration by a local citizens’ committee headed by Welles and Murray. On May 5, 1866, Waterloo was decorated with flags at half mast, draped with evergreens and mourning black. Veterans, civic societies and residents marched to the strains of martial music to the three village cemeteries. There, impressive ceremonies were held and soldiers’ graves decorated. These ceremonies were repeated the next year and, in 1868, other surrounding communities began to hold their own observance on May 30th. In 1971, Memorial Day was declared by the federal government to be observed on the last day of Monday in May. While several towns claim to be the originators of Memorial Day, in 1966 Congress declared Waterloo, NY to be the birthplace of the holiday. To ensure the sacrifices of America’s fallen heroes are never forgotten, in December 2000, the U.S. Congress passed and the president signed into law “The National Moment of Remembrance Act.” This act is intended to ‘encourage the people of the United States to give something back to their country, which provides them so much freedom and opportunity’. not only this coming Memorial Weekend but always.